In fall, when trees and shrubs lose their leaves, a thick blanket forms in the garden. It is the season to unclog gutters and pick up leaves, and use them for gardens and vegetable plots to make the soil fertile and protect more vulnerable plants. In the garden, everything has a purpose and nothing is lost. Here is how to turn your dead leaves into something incredibly useful. Not all dead leaves are healthy leaves. Check that leaves you are using are parasite, fungus, and disease-free because these might overwinter and reappear in spring. Most fungus tend to overwinter and then come back stronger than ever when the sun shines again. The only solution is to destroy these with fire. Some leaves take ages to break down, such as bay leaves, plane tree leaves or wild privet. These can take years to break down. When winter tiptoes near and the first frost spells appear, good mulch can protect even the most vulnerable plants. Many bulb and tuber flowers such as dahlias and gladiolus, tuberous begonias, and also Lilies of the Nile are vulnerable to the cold and require a good winter cover. 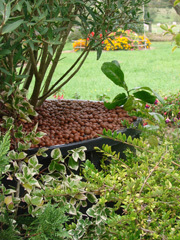 For this, protect them with a cover of dead leaves about 16 inches (40 cm) thick. Note that if your area has really harsh winters, it is best to bring bulbs and tubers indoors during winter, because dead leaves might not be enough. If you have a banana tree, make a circle around its leaves with wire fencing and fill it with a very thick layer of dead leaves, around 32 inches (80 cm) thick, even up to 40 inches (1 m). You can also do this for new plants. Remember that dead leaves are an incredible source of organic material for all your plants, including the soil in your vegetable patch. Where only root vegetables survive winter trials, you can spread a thick layer of dead leaves over the entire vegetable plot, and as they break down they will free organic material. This thick layer will support the local ecosystem during winter, and worms and other insects will keep working to make the earth a better place. Dead leaves can also serve to protect root vegetables that were not yet harvested against freezing, and this will ease the task of harvesting since you only collect as much as you need. Finally, dead leaves hinder weed growth, which will make that an easier task when the sunny days are back. 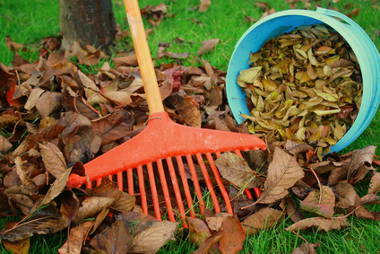 If you still have dead leaves left over after all these recommendations, still, don’t do away with them! 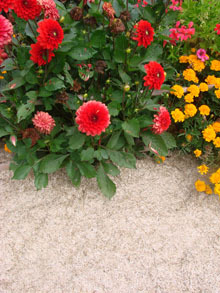 Leaves are a great type of mulch for all your flower beds, and they will reduce weed growth while enriching the soil. Just like they do in the vegetable patch, leaves make underground life easier and this promotes humus and micro-organism development. Last of all, if any dead leaves are left over, throw them onto the compost, where again, choosing healthy leaves is a prerequisite. Read also: How to protect plants from the cold in winter. Natural and organic weeding, it works!